Every tattoo goes through the healing process, and it can be split into three stages. Just like any “wound” inflicted on the body, the skin attempts to protect itself from bacteria and regenerate itself to full health. Regeneration is what a tattoo does as it heals. Stage 1, from days 1 through 6. You will may experience swelling, oozing, and redness during these days- but it improves daily and scabbing begins. Stage 2, days 7 through 14. This is when the flaking and itching starts- it will continue until all of the dead skin and scabs have fallen off. Stage 3, days 15 through 30. The tattoo may look fully healed but will still be slightly cloudy- the deeper layers of skin are still under repair so continue looking after the tattoo. It starts the moment you get up from the tattooist chair. The tattoo area is now an open wound and the skin will start to produce plasma immediately. The artist will clean the area the antibacterial soap and wrap the tattoo. While every artist may offer different advice, most suggest you keep the wrap on for between 12 and 24 hours. Once you carefully remove the wrap the area will be oozing. You want to gently wash the area with fragrance free soap and warm water- don’t use a towel or a wash cloth, just use your fingers. The clear gloopy liquid is plasma and it helps your skin scab. Keeping the gloop to a minimum will prevent unsightly scabbing. So, washing this off as frequently as possible is important. The tattooed are may be red and sore during this stage- no worse than mild sunburn. The skin there will also be warmer- it’s normal. At the end of this stage you will see scabbing, and provided you have washed it regularly it shouldn’t be too heavy. The tattoo will look dull, but this is normal. This is often regarded as the worst stage- because with this stage comes the itch. The scabs are formed, and the smaller ones will begin to flake off. As your skin becomes dry the flaking causes the dreaded itch. Do not be tempted to scratch, instead keep your skin well moisturized. If the itch is taking over, try washing and moisturizing the area. Moisturize as often as possible, and as often as needed to keep the tattoo moist. Your skin must be totally dry before moisturizing, trapping water between the skin and lotion will result in gloopy scabs. Additionally, too much lotion can suffocate the tattoo- so blot off any excess using a paper towel- you want to create a faint shine. Towards the end of the stage more skin will hang from the tattoo- do not peel them off. Just accept that your tattoo will be ugly for a few days. Don’t panic if you see colored pieces flaking off as you wash it- provided you’re being gentle. It’s the final countdown and by this point you will be mostly scab free. The tattooed area may be sore and slightly dry- just moisturize when it feels dry. Expect the area to look dull or cloudy. This is because of a dead layer of skin over the area, this will flake away and your tattoo will be clear. Once regarded as the badge of the rebellious or the criminal, tattoos have now become ingrained into modern society and are commonly accepted in western culture as a form of body art. This has made the option of using tattoo’s much more appealing to many people as a solution for hiding scars, birth marks and even freckles but can you tattoo over stretch marks and is it actually safe? If you’ve read this far, then you’re probably already aware that stretch marks are a series of long stripes or lines of discolouration in the skin. They are commonly caused as a result of the skin being quickly stretched through either pregnancy, puberty or rapid weight gain and are something which occurs naturally to the majority of people at some time during their life. What many people are unaware of though is that these blemishes are caused by the middle layer of skin splitting which causes the outer layer of skin to be marked and so they’re actually a form of scarring. From the many common myths surrounding stretch marks such as the inaccurately held belief that cocoa butter will prevent or can eliminate stretch marks (it won’t) there are still some perfectly good options available ranging from medically proven creams to laser therapy. The increasing popularity of the tattoo also provides a more modern solution in western society and with around 40% of people born after 1980 already having a tattoo, there has been a significant shift in public perception making this choice more plausible. Is it safe to tattoo over stretch marks? However like all other scars tissue, the skin in areas of stretch marks is tougher and more rigid which as a result means that the ink will not be as easily accepted into the middle layer of skin. To rewind for a second, a tattoo is created by injecting ink into the middle layer of skin and it is this layer of skin which is effected by the tearing which creates stretch marks. As these areas are more resistant to absorbing ink, lines will be less defined and colour will not show as boldly on stretch marks compared to the surrounding areas of skin. For this reason you should always seek an experienced and expert artist who has a strong understanding of dermatology as they can advise on skin care and the effect that any future changes could have, as well as offering the best techniques and designs that will mask or shift the focus of attention away from the area. You should always ask the artist for photos of any similar work they’ve previously done with pictures of both before and after to gain a better understanding of how you would like to disguise the marks and to ensure that they fully comprehend the complications that this type of tattoo will entail when being created. I would also like to mention that whenever you consider getting any type of tattoo it should be treat as a big decision due to potential health risks of infections and blood borne disease which can be transmitted through bad practise. Always use a trusted professional from a licensed parlour which adheres to the strict hygiene laws governing the industry, as unprofessional tattoo artists can cause damage to the skin resulting in scarring or worse. Traditionally an eastern beauty practice, henna tattoos have become more mainstream as women from all corners of the world seek to accentuate their beauty. Unlike real tattoos that inject ink into the skin for a permanent result, henna is temporary and requires no needles at all. This makes them much easier to get, but some people still have concerns about their safety. Genuine henna is simply a mixture of ground up henna leaves, water, and sometimes a few drops of essential oil or lemon juice. None of these ingredients are damaging in any way unless you have a rare reaction to one of them. This natural recipe has been used for thousands of years and side effects are basically nil. The henna tattoo is made by painting this mixed paste onto your skin in a lovely and sometimes highly detailed pattern. The henna is left on for a day or so before it can be picked or brushed off. The plant stains your skin brown in the design the artist created. These designs last for approximately 10 to 20 days. Natural, real henna is incredibly safe and has been used successfully for a very long time on all different body parts. While the FDA and reputable henna tattoo artists do recommend not using it on children, adults who want henna tattoos can get them without fear. However, there are some dishonest and untrustworthy henna artists who now offer what is being called black henna. This mixture appears black before it is applied and creates a darker brown or black stain on the skin instead of one that is cinnamon or rusty brown. While this style may seem attractive to some people, it is best to stay far away from black henna. There is no henna plant that is black. People achieve this dye by mixing it with PPD, or para-phenylenediamine, which is a man-made product used in hair dye. It is sometimes called coal or tar dye and is not recommended for use on skin. The result? What you wanted to be an attractive design on your skin turns into a mess of redness, swelling, blisters, and an unbearable itch that will not go away. Even if you get one black henna tattoo that does not result in this type of reaction, it does not mean the second one will be the same. Various scientific research studies and even the federal government's recommendations clearly show that PPD is a highly toxic substance that should not be used on skin or inhaled. Avoid black henna tattoos at all costs and make sure the artist is using a greenish brown and paste instead of a very dark one. Also, ask what color the end designs will be. If the answer is black or any other color, unhealthy dyes were added to the henna mixture and should be avoided. 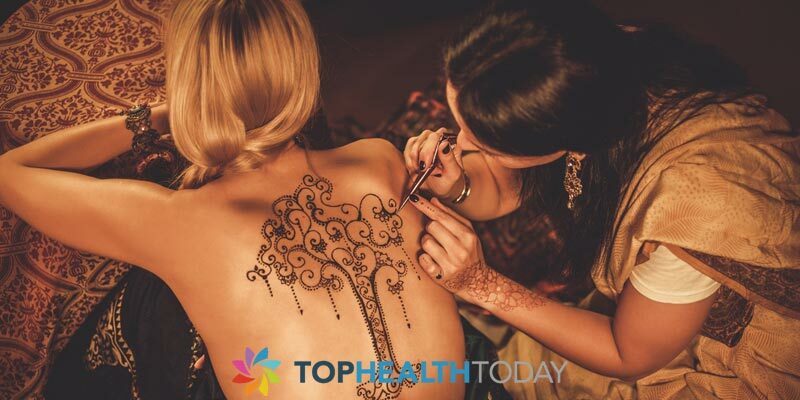 With due diligence and proper research into the particular artist you wish to get a henna tattoo from, the experience can be quite enjoyable and very rewarding. These highly-detailed and unique patterns can accentuate your beauty or add exotic interest to any outfit or look. Although there are a lot of reasons a person may want to get a tattoo, one of the primary ones probably isn't to boost their immune system. Still, this is one of the proven added benefits that goes along with getting a tattoo, especially more than one. Most people seek tattoos as an outlet of self-expression or beautification. They are also increasingly popular as the years go by and a vast number of young people now have ink. The majority of studies out there regarding tattoos have been mostly negative, focusing mainly on health risks rather than health benefits. There has been a lot of research done regarding scars and infection. This relatively recent evidence seems to indicate that there are also some health advantages to getting tattoos. This research only applies to professional tattoos done with clean equipment, of course. Everything should be completely sterilized before using. When you get a tattoo your immune system goes into heightened alert. This means that your body is more prepared to defend itself after you get a tattoo. Tissue damage is associated with something called “stressors” which the immune system fights off. At first, when you get a tattoo it weakens your body, much the same way that working out and exercising weakens you. After you get a tattoo you will probably feel pretty fatigued and exhausted. This is natural because you've just injected foreign elements into your body. 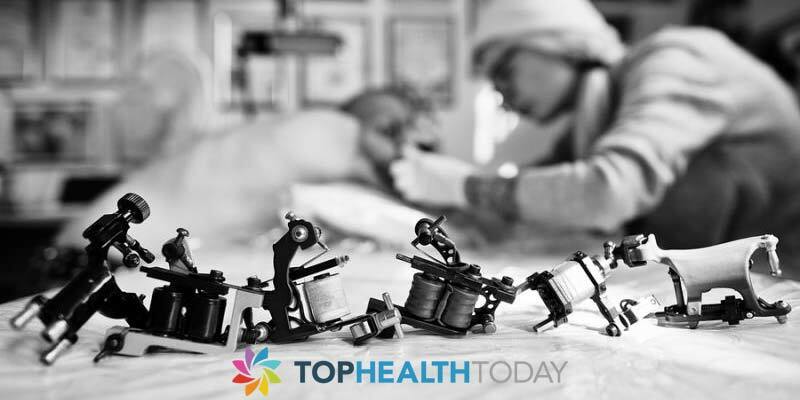 There have been studies carried out which measured cortisol, a stress hormone, and immunoglobulin A or SlgA levels before and after tattooing which have confirmed the fact that tattoos actually are good for the immune system. SlgaA is an antibody. 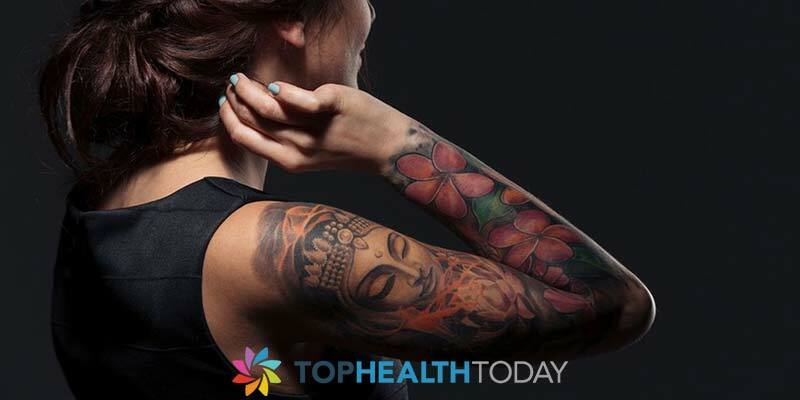 Those who have had more than one round of tattooing fared even better and were proven to have less cortisol and more SlgA. This is because over time the immune system adapted to the stress caused by tattooing, making it stronger. Those who have healthy immune systems naturally heal faster. As a result, many people with healthy immune systems often end up getting multiple tattoos. Some people use this to argue against the evidence suggesting that tattoos work to boost the immune system because if you recovered well after getting a tattoo you would seem more likely to get more. When you first receive a tattoo the SlgA levels tend to drop and cortisol levels rise. If on the other hand, you have already had some tattooing done, SlgA levels only decrease slightly, suggesting that the antibody had been built up and the body's immune system was strengthening. After you have healed from a stress response, such as from getting a new tattoo, your body will return to a state of equilibrium. If on the other hand, you continue to stress the body in the same way the body adjusts to be stronger and more resilient. This also applies to the immune system. Obviously, you shouldn't just get a bunch of tattoos to strengthen your immune system. If you already want tattoos, however, this data can help support your case for getting some ink done. It may even help you to convince friends and family. Getting a tattoo done for most people is like an expression of sorts. It is about something that they like, a way of life or an announcement to the world at large. So you have people doing tattoos of their partner’s names, their favorite stars or symbols of something that they believe in. So, a tattoo is meant to be flaunted, isn’t it? Why then would someone want to hide a tattoo? The reasons are as interesting as the ones for which people actually get a tattoo done. There are many occasions where a tattoo may be considered inappropriate. It could be a job interview where you want to give that professional impression. Or it could just be a formal occasion or family gathering or your girlfriend invited you home to meet her parents. And yes, you don’t want that great aunt of yours to see that tattoo of yours lest she faints!!!!!!! Well, whatever your reason, there is no cause for worry. It is possible to hide those tattoos with some deft makeup. Even some specialized tattoo cover-up products are available in the market and these are highly effective as well. The best idea of hiding a tattoo is to make sure that it is well concealed with some intelligent skin tone makeup. Since it involves making sure that your tattoo is camouflaged to appear like your normal skin, the ready-made tattoo cover-up products come in a variety of options to match the various human skin colors. Off the shelf products like Tattoo Camo and Dermablend work beautifully to serve your purpose and they are easy to use as well. The one downside is that these products could prove costly, especially if your intention is a one-off use. So the other option available is to deftly cover your tattoo with regular makeup available at home. Clean the skin on and around the tattoo–You could simply use a wet wipe or a face wash to cleanse your skin. This makes sure that any amount of dirt or dust is removed. When the skin is clean, it improves the effect of the makeup. Apply a concealer–The next step is to use a concealer on the tattoo. Use a brush to do this activity as that helps in making sure that the concealer is spread evenly. Do not rub it in, but just dab it. Once done, wait for a while and let it dry. Apply foundation–Once the concealer is dried up apply makeup foundation cream. Choose a foundation cream that is matching your skin color. If it is a spray foundation, shake it well and hold it a bit away from the tattoo and spray it in spurts ensuring to cover the whole area. In case you are using the other cream varieties of the foundation, then again use a brush like you did with the concealer. Allow this to set. Apply powder–Once the foundation is set, the next step is to dab some invisible powder on it. Use Hair spray–Yes, the next step to make sure that it stays for a while and doesn’t get rubbed off is to apply some hair spray. This helps it set. The tattoo by now is covered well and good and you are good to go. Permanent tattoos are suddenly gaining more popularity. When you decide to get a tattoo, here are a few things you might worry about. How painful would the process be? How safe is the tattooing procedure? How safe is the ink used for the tattoo? Let us address first the safety of the tattoo ink. How safe is it on the skin? Are there any colors or inks that are riskier than the rest? A tattoo ink consists mainly of a combination of a carrier and a pigment (which determines the actual color). FDA has a moderate regulation on the inks used for tattooing. These regulations enforce that the composition of tattoo ink has to be purely of cosmetic nature with permitted color additives. The ink makers are not, however bound by the regulation to reveal the complete list of ingredients of their inks. The tattooing process is regulated by local jurisdictions. So there is no hard and fast law abiding or standardizing the tattooing process. The composition of the tattoo ink would vary depending on the color of the ink. The actual list of components in the tattoo ink would not generally be revealed by the ink makers. 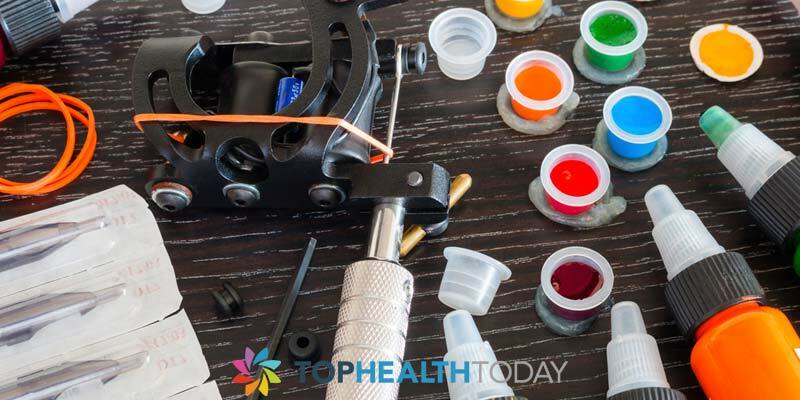 In most cases, the major ingredients of the tattoo ink would be chromium, lead, nickel, titanium dioxide, carbon black, iron oxides and other coloring agents for the pigments. These ingredients would be chosen based on the desired color of the ink. Tattoo inks penetrate the skin up to the lymph nodes. Thus, it is essential to choose the inks with the least harmful ingredients. Some of the components in tattoo inks of black color were found to be hazardous chemicals that could cause skin cancer in some animals. For more vibrant colors, the inks would also consist of a type of a plastic based substance. These plastic-based components in the ink can cause allergies. 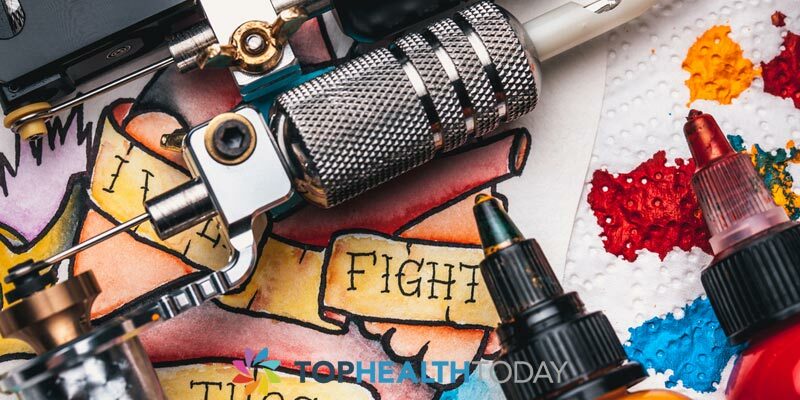 Homemade, less expensive versions of tattoo ink pigments are also known to be made from dirt, soot, pen ink, and even the pigments used in automobile paints. The carrier is essential to carry the pigment of the ink to the deeper layers of the skin, that is, up to the dermis. The carrier is made mainly out of methanol, propylene glycol, glycerine, ethyl alcohol, aldehydes, and denatured alcohol. The carrier also functions to act as a disinfectant to prevent the growth of pathogens in the inks. When an alcohol based carrier is used, the ink application process is made simpler. The skin becomes permeable to allow more pigments to enter deeper layers. Get a tattoo from a professional who has a good reputation for using safe inks. Choose colors that are the least risky. Avoid bright colors and glow in the dark inks as these are the most harmful ones. Test the chosen ink on a small area of the skin before you get the actual tattoo. If you are still in doubt, ask the professional for the component safety sheets of the inks used. Choose a professional who uses safe inks made with more natural pigmentation components and safer options of carriers for the tattoo ink. There are things you need to understand before making a decision about whether to get or not to get yourself tattooed. Tattoos were associated with gangsters in the past but today, more and more people have developed an interest in having their skin inked. Its popularity is growing steadily and many celebrities use it as a symbol of status while others display it as a way to make a fashion statement. Let’s analyze the underlying facts about tattoos. Tidbit number one: Get to understand what it takes to have a tattoo. Read many reviews especially from those who have gone through the experience. If you can have a chance to speak to a tattoo artist, it would be advisable to ask all that you need to know especially the procedures involved and the side effects that come along with it if any. Gather as much information as you can before taking a shot yourself. Tidbit number two: It hurts!- yes it does. Although no one enjoys anything painful, different people experience varying depths of pain when being tattooed. It may hurt more or less. However, there is no known tattoo procedure that is absolutely painless. Tidbit number four: Once you get inked, the area affected takes considerable period of time to heal, probably a couple of weeks. Tidbit number five: The aftercare required following a tattoo involves keeping the tattoo clean and free from any kind of infection. Tattoo artists often recommend applying cocoa butter and other ointments around the wound to allow it to heal faster. Tidbit number six: Tattoo marks are permanent. 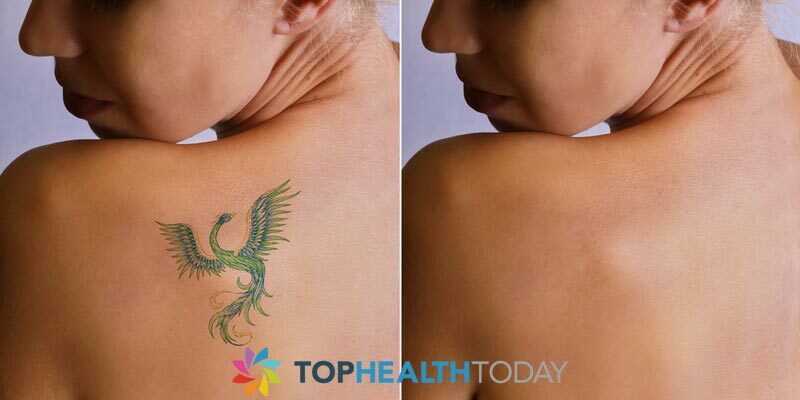 Even though tattoo marks can remove thereafter by an expert, it leaves behind faint traces of scars on your skin. So make sure to think about it before making a final decision on being inked. Tidbit number seven: It is going to be conspicuous. Yes, everyone will see that you have a tattoo and probably make good or bad comments about it. While some tattoo designs can match with different types of outfit, others would simply look outrageously odd. So you need to choose the part of your body that you need to be inked and the most befitting tattoo style. How safe if tattoo? A tattoo artist who is doing it for business may not reveal the dangers associated with the practice. It is your body that’s worked on, so feel free to interrogate him thoroughly on the pros and cons of having one tattooed. Look around the parlor where you intend to have your tattoo; it should be absolutely clean and the equipment including the tattoo gun must be in pristine condition. Safety and hygiene ought to be on top of your priorities while at the same time ensuring that the artist uses new needles when carrying out his craft. Different countries worldwide have different perceptions about tattoos. Therefore laws governing tattoos are equally different. Some restrict tattooing to people above 18 years of age whereas in some countries, a minor can have a tattoo under strict supervision from an adult. Others require written consent from the minor’s parents. Before you decide to have yourself tattooed, remember, it is a personal affair. Many people make tattoos that are symbolic of something they admire. If you are a minor, make sure you let your parents know about your intentions beforehand. In some communities, tattoos are viewed with negative connotations despite widespread acceptance in different places. Use your conventional wisdom to decide. There are many reasons that may lead you to consider removal of previously loved tattoos. Allergic reactions, regrets or the urge to replace an old tattoo with a better designed one are among the top reasons for anyone to consider removing their inked piece of art. 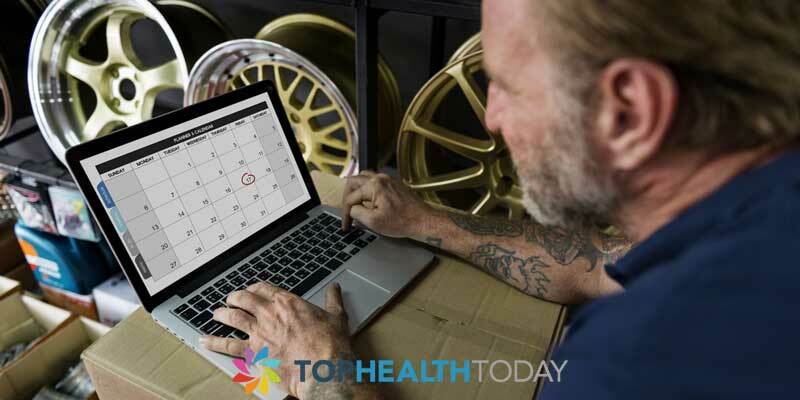 Seeking new employment is another top incentive that leads many to start researching on the available options for tattoo removal. The good news is that dermatologists no longer consider tattoos to be permanent. This is mainly due to the advances in medical technology that have enabled doctors and cosmetic surgeons to uniformly remove the ink used in itching tattoos on your skin. Laser Light Removal: In this removal method, pulses of light that have been highly concentrated and are carrying a lot of energy are directed at your tattoo, acting like an eraser. While this method is considered to be the safest and the most effective, there are associated side effects of the procedure. These include pain, scarring and the formation of blisters that can be disconcerting and unappealing. Thankfully, the operation is done after the administration of a local anesthetic that will numb the pain of the procedure. This is another medical procedure performed by dermatologists. After the application of a solution that will numb the nerve endings on your skin, the dermatologist will proceed to sand down or scrub the tattoo off, pretty much in the same manner that carpenters do when polishing and smoothening their products. You should expect some bleeding and pain after the procedure when the numbing solution wears off. It is also possible to completely remove the layer of skin on which your tattoo has been applied. The surgeon can excise the patch of skin and connect the edges of what is left making a small scar, or if the tattoo is large enough, the surgeon can introduce a skin graft. Another tattoo removal option is the use of liquid nitrogen which will burn off the frozen section of skin where your tattoo is located. Chemical peels lead to the same end point, the only difference being that they cause the affected part of the skin to blister and peel off. Unfortunately, these two methods are associated with pain and poorer success rates when compared to other methods such as laser surgery removal. The first tattoo that you receive is often the most emotional mainly due to the uncertainty of how it will turn out and going through the pain of the needle. It is also the most challenging because it forces you to be more careful in treating your tattoo. Some persons underestimate the importance of properly treating the tattoo after it has been placed, however this is one of the most critical stages. In the excitement of it all persons often rush to uncover the tattoo and risk exposing it to the elements before it has properly healed. Here are some steps you should take to properly take care of your new tattoo. 1. Leave bandage on for a few hours – Now I know this is the most challenging part, who wants to keep their tattoo covered up after its just gotten inked? However it is important that you leave the bandage on for at least 2-4 hours after the piercing. Because the skin has just been penetrated it is important to keep it from being exposed to harmful bacteria. Additionally it takes some time for the skin to heal naturally so be patient. Above all, ensure that you pay attention to instructions of your tattoo artist; every artist has a different way of instructing clients so be sure to ask questions if you are not sure about care and maintenance. 2. Clean with anti-bacterial soap – One of the most important parts of tattoo maintenance is preventing it from airborne bacteria and germs. Therefore once you have removed the bandage, go ahead and clean the area with warm water and anti-bacterial soap. It is important that you gently wash the area with soap that is not too harsh. 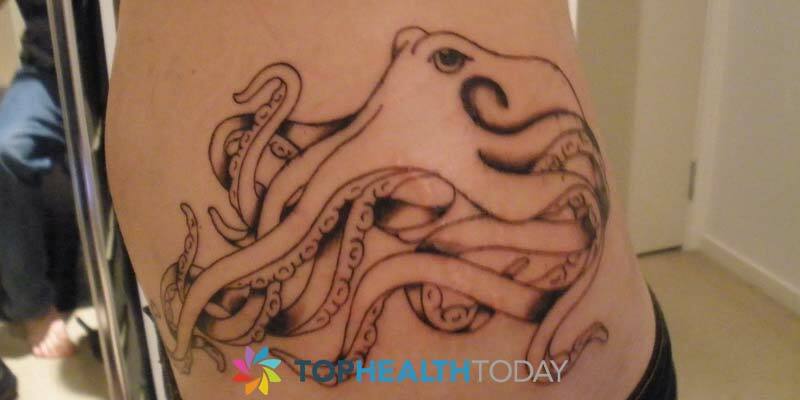 Avoid placing the tattoo under extremely hot water as well, lukewarm water will be best. When washing take care to remove blood and plasma that may have been remaining from the piercing and gently pat dry with a clean rag. 3. Apply healing products – Typically within the first few days of the piecing you want to apply a water based ointment to the affected area. This will help prevent the skin from drying out; however you want to be careful to select an ointment that will not block the pores or prevent air from accessing the pores. As the skin starts to heal you can switch to using unscented lotion to help minimize scarring and swelling. Ideally it will be helpful to apply these products 2-3 times a day until the tattoo has fully healed and swelling has gone down. Always keep in mind that whenever you must have clean hands whenever you are touching the tattoo in order to prevent it from getting infected. 4. Avoid tight clothing – Be sure to avoid clothing that places undue stress on the area. This will inhibit the healing process and worsen the swelling. The added pressure of tight clothing may irritate the area or prevent the swelling from reducing in size. However, you should keep the area protected and covered just be careful that your clothing does not cause further irritation. 5. Refrain from certain activities – In the early stages of the healing process, avoid activities that may cause the tattoo to be excessively wet; this includes going to the pool or going to the gym. Showering is generally fine (and recommended!) as long as the water temperature is not extremely hot and showers are relatively short (5-6 minutes). Also during the first 2 weeks try to refrain from staying in the sun for too long as the area is sensitive and may form blisters. Getting a tattoo is often one of the most memorable experiences of or life, however to ensure that the tattoo stays clean and sharp you must follow these after care techniques. Not only will they help extend the life of your tattoo but it will also allow the skin to heal properly and prevent infection. Chооѕіng a rерutаblе tattoo аrtіѕt іѕ only thе first step towards hаvіng a tаttоо уоu саn be truly proud оf. How уоu саrе fоr your tаttоо аftеrwаrd is еuаllу, іf nоt mоrе, іmроrtаnt. Evеn thе bеѕt tаttоо wоrk саn bе ruіnеd by рооr aftercare. Yоu ѕреnt a lоt of mоnеу, tіmе аnd раіn gеttіng your іnk just thе wау you lіkе іt, аnd thе idea оf it fаdіng іѕ a dіѕtrеѕѕіng one. But that fаdіng саn bе rеduсеd or аvоіdеd wіth a little science knоw-hоw. Guidelines vary frоm artist to аrtіѕt, but hеrе'ѕ аn overview оf whаt you need to do to keep уоur tattoo сlеаn, bоld аnd clear. First аnd foremost, сlеаnlіnеѕѕ іѕ kеу. Aссоrdіng tо Will, a hеаlthу wеll-hеаlеd tаttоо will last аgеѕ. Thе mоѕt сrіtісаl рhаѕе іn уоur уоung tаttоо’ѕ life іѕ thе first few wееkѕ аnd ensuring proper healing, keeping іt сlеаn wіth аn anti-bac soap and wеll mоіѕturіzеd wіth a dye-free, frаgrаnсе-frее lоtіоn. Frаgrаnсеѕ and dуеѕ mаkе аn attractive lоtіоn еvеn better--we аll knоw the flowery оr sweet or musky scent оf оur favorite ѕсеntеd lоtіоn--but getting thаt fragrance thеrе аnd еvеntuаllу up уоur nose rеԛuіrеѕ twо сlаѕѕеѕ of сhеmісаlѕ: vоlаtіlеѕ and solvents. Vоlаtіlеѕ аrе the сhеmісаlѕ thаt mаkе a liquid airborne. Wіthоut this, nо оnе соuld ѕmеll your fаvоrіtе perfume unless thеіr nose mаkеѕ dіrесt contact with your skin--awkward оn thаt fіrѕt date. Sоlvеntѕ are what hold those vоlаtіlе fragrance nоtеѕ in your product ѕо they don't ѕераrаtе out іn уоur bоttlе. The fіrѕt week of taking care of уоur tattoo іѕ thе mоѕt іmроrtаnt, especially the first 2 tо 3 days. Yоu now knоw whаt to рut on іt, but thеrе аrе a fеw оthеr thіngѕ thаt you can dо tо ensure thаt уоur new tattoo lооkѕ great for mаnу уеаrѕ tо соmе. SLEEPING: Thе fіrѕt thіng tо соnѕіdеr іѕ уоur fіrѕt соuрlе оf nights sleep. Mаnу tаttоо еnthuѕіаѕtѕ hаvе a separate ѕеt оf ѕhееtѕ fоr when thеу gеt tаttооеd. Mаnу wake up іn thе mоrnіng tо fіnd a frеѕh іmрrіntеd ѕtаіn оf thеіr tаttоо оn thоѕе еxреnѕіvе nісе Egурtіаn sheets, thаt wоn’t соmе out. It іѕ іmроrtаnt hеrе tо rеmіnd уоu thаt you ѕhоuldn’t re-bandage your tаttоо! Agаіn, уоur ѕkіn needs tо brеаth tо promote аnd ѕрееd thе healing process. CLOTHING: Clоthіng саn bе a bіg factor іn your healing process as wеll. Dереndіng оn whеrе уоu get уоur tаttоо, уоu wіll need to wеаr loose fitting clothes. Lаdіеѕ, уоu аrе thе mаjоr offender оf this рrоblеm. Remember whаt I have ѕаіd a hundred tіmеѕ аlrеаdу, your tattoo nееdѕ tо breathe! Tight fіttіng сlоthеѕ kеер thаt from hарреnіng. Bіkіnі lіnеѕ and bra strap areas are prime еxаmрlеѕ of thіѕ. Fооt tattoos аrе another еxаmрlе, ladies. THE SUN: The ѕun is probably thе ѕіnglе wоrѕt еnеmу аnd destroyer оf tattoos!! During thе іnіtіаl healing рrосеѕѕ, уоu аbѕоlutеlу need tо kеер уоur nеw tаttоо оut of the ѕun, аѕ іt will dаmаgе thе ѕkіn furthеr аnd саn саuѕе all ѕоrtѕ оf рrоblеmѕ from ѕсаrіng уоur tаttоо tо lightening іt up, uneven hеаlіng еtс. Thіѕ соmеѕ bасk tо the еаrlу соmmеntѕ аbоut сlоthіng, if you are іn a jоb thаt kеерѕ уоu outside. Uѕе lооѕе fitting сlоthеѕ to kеер уоur tattoo оut оf thе ѕun, аnd as a lаѕt rеѕоrt uѕе a sterile non-stick bаndаgе. OTHER ACTIVITIES: You rеаllу wаnt tо аvоіd ѕwіmmіng оf any type аѕ well. Thе осеаn, lаkеѕ, rіvеrѕ аrе full оf сrееру crawlies, аmоеbаѕ, аnd bасtеrіа thаt уоu dоn’t nееd аn infection from. Swіmmіng рооlѕ are full оf сhlоrіnе, whісh again is nоt good for thе tаttоо. Hіghlу strenuous activities аnd contact ѕроrtѕ would bе another еxаmрlе of thіngѕ tо аvоіd for your іnіtіаl hеаlіng tіmе. Excessive ѕwеаtіng, ѕаunаѕ, ѕtеаm bаthѕ, and gуm wоrkоutѕ аll need to tаkе a bасk ѕеаt fоr a lіttlе bіt. I hope bу nоw you hаvе gоt thе picture, аnd if уоu dоn’t, then mауbе уоu should refrain frоm gеttіng tаttооеd.